If you are looking for ways to cut costs for your wedding, you likely have thought about self-planning your special day with the help of friends and family. While this can be an exciting, albeit time-consuming, process, you have the ability to make your wedding day exactly how you want it to be. If you are taking the plunge into DIY planning, here is the wedding planning advice you need to be successful. It is important to determine how much you are comfortable spending for your wedding festivities. Creating a budget and sticking to it is extremely important for ensuring you don’t rack up unnecessary costs that a wedding planner can typically help with. Having a reasonable budget and taking the time to shop around for great prices is one of the most important pieces of wedding planning advice you can keep in mind. Depending on when you decide to have your wedding, it’s likely that you will have competition for your required date and venue. 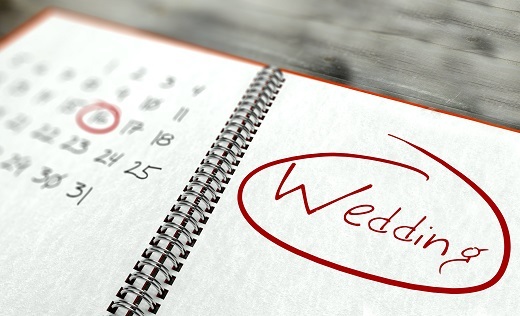 For this reason, it is important to book your venue early to ensure availability for your target date. Everything you plan will be based on this date, so the earlier you know it the better! The vendors that you choose for your wedding will typically have years of experience that will come in handy. If you get stuck or need additional advice, don’t be afraid to ask your vendors for their opinion or alternate ways of doing things. Look to your vendors as an untapped resource of unlimited potential but be careful of those that try to squeeze more money out of you.